We are your go-to crested gecko breeders! 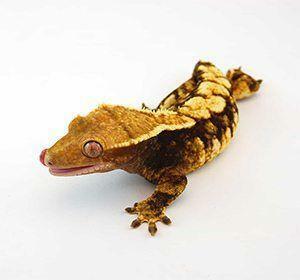 Shop our Crested Gecko for sale selection of top quality crested gecko genetics giving us outstandingly vivid color. 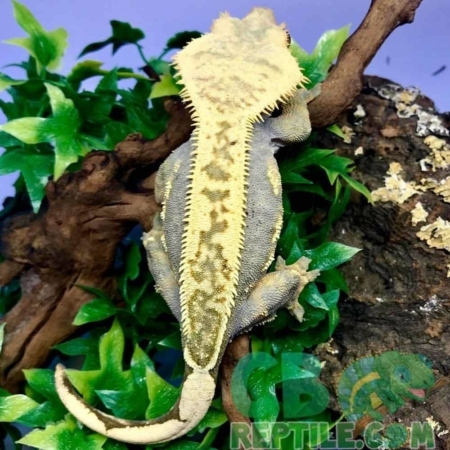 Our cresties are not only some of the nicest around, but our prices are also the best in the USA! With a Biologist ON-SITE shop with confidence that you’ll be purchasing a top quality gecko for sale online. We are your premier crested gecko breeders of healthy, crested geckos for sale. The best gecko breeders in the USA! 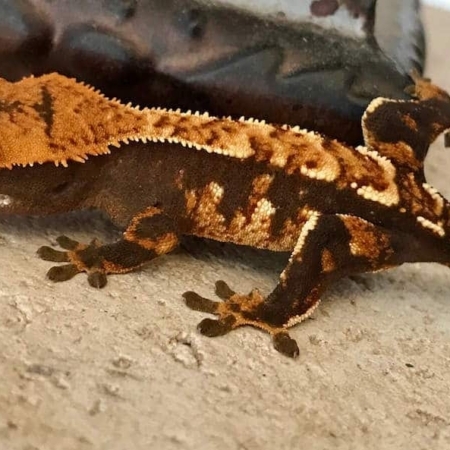 Whether it is super rare color morphs like Super Dalmatian, Halloween Harlequins, Orange Tiger flames to name a few, or the more common flames, bi-colors and Harlequins, all of our Cresties come from top quality genetics and are as gorgeous as they are calm from our daily handling to ensure they make great pet geckos! 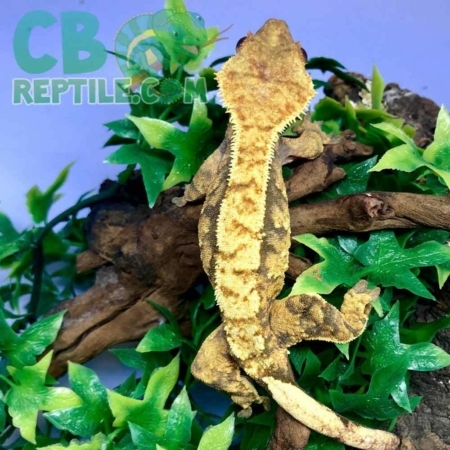 If you are looking for the best crested gecko breeder near me, CB reptile is your spot! 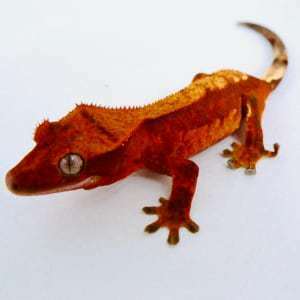 No matter what, all of our Cresties for sale come from top quality crested gecko morphs/genetics. Secondly, they’re as gorgeous as they are calm from our daily handling to ensure they make a great pet crested gecko for sale! Lastly, all of our crested geckos for sale come with our live arrival and full 7-day health guarantee and ship via UPS or FedEx overnight. Our biologist oversees all of our gecko breeding programs, enabling us to offer some of the best customer support of all online reptile stores. Typically, they leave our facility around 7 pm and arrive the morning after shipping in heated or cooled insulated containers. 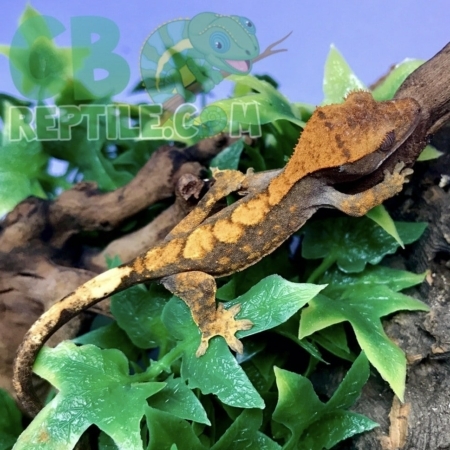 Similarly, we offer baby crested geckos for sale, juvenile crested gecko for sale, as well as young adult cresties for sale with the best price anywhere. 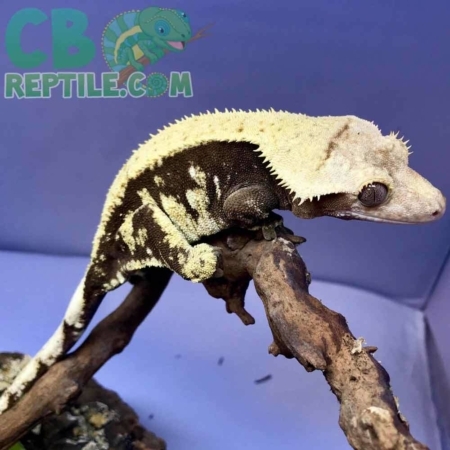 Searching for the right gecko breeders near me? 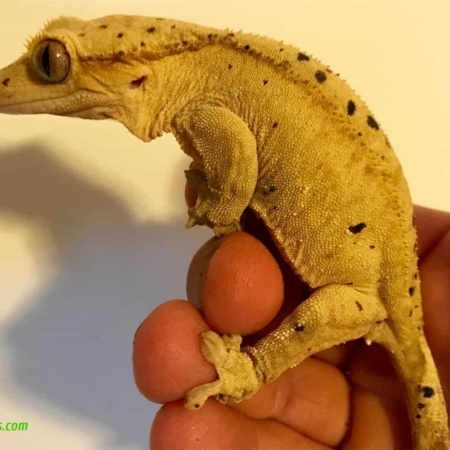 As a crested gecko breeder we are proud to work with top gecko genetics and like all of our geckos for sale, they come with a full live arrival and health guarantee! 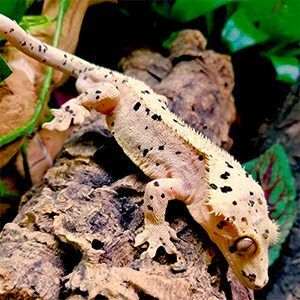 If you are interested in other types of geckos, be sure to check out our gargoyle geckos, leopard geckos, as well as many other common and rare geckos. 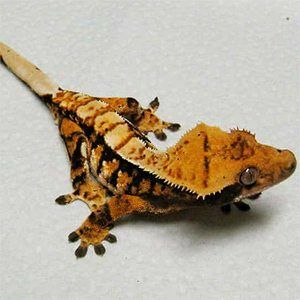 Furthermore, when ordering crested geckos for sale from CB Reptile you should expect an animal that has been handled. Secondly, all of our baby geckos for sale are already eating well and well started. Most importantly, if you are a novice gecko owner, we would recommend a well-started juvenile over a hatchling crested gecko. 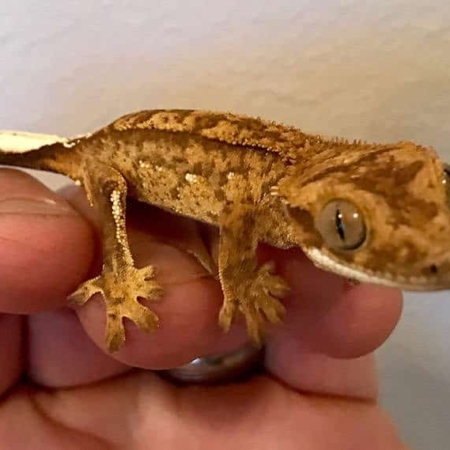 Because a juvenile crested gecko for sale will be easier than purchasing baby geckos for sale when it comes to feeding and baby crested gecko care. Caring for baby cresties is easier than pretty much every other pet gecko for sale you can find. How do I know when my female crestie is ready to breed? You want your female gecko to be fully grown and large enough to safely breed, which is 35–40 grams for males and 40 grams for females. Usually, this size is reached at 18-mo to 2 years old. Also, this can vary depending on the gecko itself and the quality of the food in its diet. Tracking your gecko’s weight is important and therefore we suggest investing in a gram scale to keep track. Keeping your male crestie healthy is also very important! Unlike female cresties, don’t worry as much about your male geckos keeping weight on during the breeding season. Because they don’t normally change their behavior too much after mating and aren’t producing eggs like the females. Males just needs to be mature enough to produce viable sperm and large enough that if your female gets aggressive during breeding season, the male won’t get injured. Once your cresties are old enough to breed…. Initial mating behavior commonly consists of sounds that are similar to chirping. Try your best to keep an eye on geckos’ behavior to see if one is obviously running from the other. Just in case they are becoming violent. Once your female crestie is ovulating, she’ll normally accept the male’s atempts. Males may bite female cresteds’ neck area before copulation, which is typically ok, and considered normal, so as long as she is not fighting back. If a female seems to be terribly offended, remove the male and try again in a week or two. A female that is ovulating is much more likely to accept a male than one who is not. Once the male has successfully copulated the female, it’s time to wait. On average, geckos will only lock up for a few minutes, while others can take what seems like hours to finish up and go their separate ways. Once the cresties have separated, you can put the geckos back in their own private enclosures. The incubation time can vary based on temperature, however most babies are hatched in less than 90 days. Like with most other species of geckos, we have found that lower temperatures have led to longer gestation, but also healthier, larger, more robust offspring. 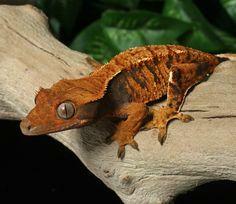 Crested geckos are originally from New Caledonia (a group of islands between Fiji and Australia). Because of their ease of care, Crested gecko breeders are offering baby cresties across the USA. 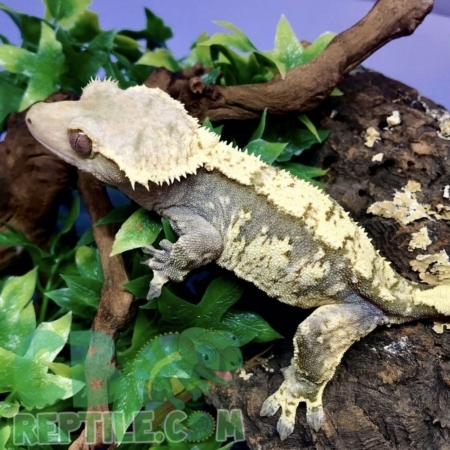 Cresties as we call them, really are ideal pet geckos for sale for beginners. 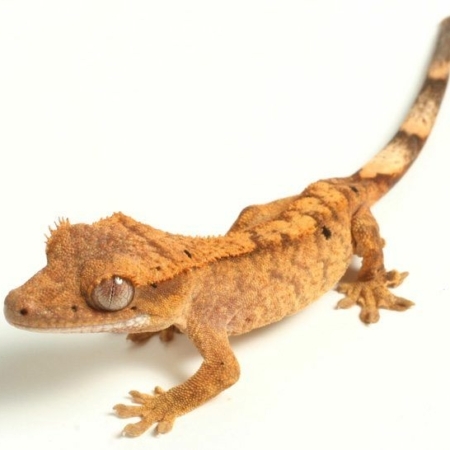 As a result, crested gecko breeders have come up with simple, easy-to-meet requirements for keeping pet crested geckos. Because crested geckos are primarily tree dwellers, they make outstanding displays in naturalistic vivariums. Because cresties are so very hardy and easy to care for, they can be kept in a number of different types of habitats or enclosures. Cresteds can be maintained in very easy to achieve conditions or in crazy looking naturalistic style vivariums. Hatchling cresties up to four month of age can be housed in 10-gallon aquariums. In some cases, young geckos housed in large cages will not eat well. To avoid that we recommend that geckos less than 12 weeks old be housed in cages no larger than a 10 gallon aquarium. Four month old to adult crested geckos should be housed in a 20 gallon tall aquarium or larger. Three adult cresteds can be comfortably housed in a 29 gallon aquarium. Screen Cages have also been used with great success as long as an effort is made to keep the humidity up. Keep in mind that regardless of what type of cage you use, that height is more desirable than length or width, particularly with adult geckos. There are now many glass and screen cages and terrariums that are designed specifically to house reptiles. These reptile specific terrariums have many advantages over aquariums designed for fish, and should definitely be considered even though the cost is a bit higher. How long does a crested gecko live? With proper care, expect your crestie to live 15 to 20 years or maybe even longer! 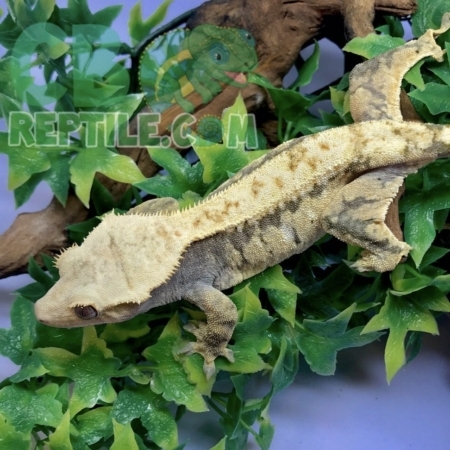 Choose the right crested gecko breeder to ensure a healthy baby crested gecko for sale! How big is a crestie? Both male and female crested geckos grow to a moderate size of 4 to 5 inches excluding tail length), and 8-9 inches in total length including their tails. Cresteds are mature sexually when they are about 15 to 18 months of age, and at a weight of approximately 30-35 grams. At one time, Cresteds were once considered super rare in captivity. Nowadays, baby crested geckos for sale are bred in large numbers and have become standard in the pet gecko for sale industry. Cresties spend most of their time above ground so a variety of substrates can be used. For simple substrate, a reptile carpet is attractive and easily cleaned. For a more naturalistic look, a peat-moss-based soil mix that doesn’t contain perlite will work well. Coir (coconut fiber pulp now sold in reptile stores as compressed bricks) mixed 50 percent with soil is a good choice for growing live plants. Paper towels are often used by breeders as they are not aesthetically pleasing but are very clean and easy to care for. Gecko breeders often use paper towels just to keep it easy to clean. – What is the best crested gecko food? 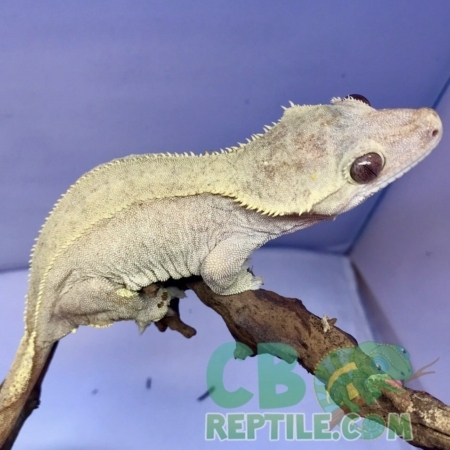 Pangea Crested gecko diet with or without insects, and has played a key role in making these among the most popular pet geckos for sale, because it excludes the need to feed them live insects. Cresties thrive when fed these diets exclusively and also can be supplemented weekly with additional protein in the form of crickets dusted with calcium and Vionate vitamin and mineral mixtures, which has been tested with thousands of geckos for more than 10 years. Most crested gecko breeder programs include these pre-prepared diets. As crested gecko breeders, we recommend Pangea and feed it to all of our baby crested geckos. 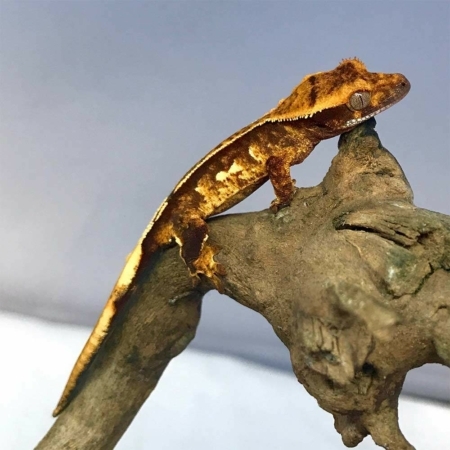 Before purchasing your new baby crestie from us here online, or buying a pair of cresties, you need to properly set up your crested gecko terrarium or crested gecko habitat. Baby crested geckos are best housed in large plastic terrariums or in standard (20-inch) 10-gallon reptile tanks with a screen top. An adult crested gecko should be housed in a 20-gallon tank with a screen top. Larger tanks will allow for better displays. In areas with moderate to high relative humidity, geckos will fare well in screen cages. These tanks have the advantage of being light and easy to clean. You can keep one male and several female crested geckos together. Male cresties may fight, particularly when in the company of females, and should not be kept together. Having proper water in your new crested geckos habitat so that it is easily accessible is key. Water should always be available for crested geckos in a shallow water dish. These geckos also require a relative humidity of at least 50 percent and preferably 70 percent. In dry areas, the tanks should be lightly misted nightly or a cool air humidifier placed in the room. Inexpensive hygrometers (relative humidity gauges) for use with reptiles are now readily available in the pet trade. When considering purchasing habitat decor for your new crestie include a water dish that is both feasible and cleanable as it is “cool looking”. 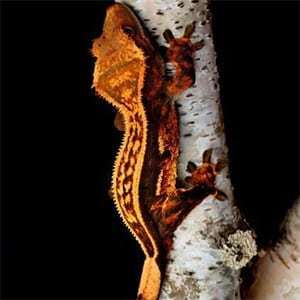 As a crested gecko breeder, we are experienced working with all types of ecotherms. 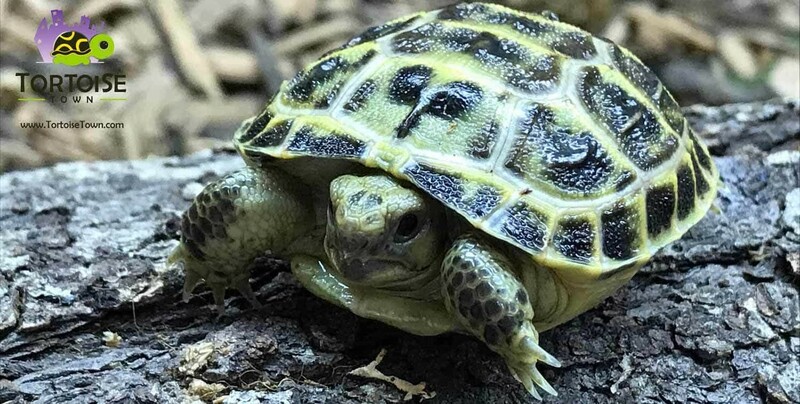 Cresteies are ectotherms (body temperature varies with environmental temperature), so it is important that you provide the proper temperature range for activity and feeding. A thermometer is essential for accurate temperature measurements. Consider getting your habitat temperatures on pointed before bring your new baby crested geckos for sale online home. Crested gecko breeders like temperatures of 78 to 82 degrees Fahrenheit during the day. It can drop to the low 70s at night. In most areas, this temperature range will be reached during the warm months of the year without additional heat. In summer, place crested geckos in a cool room if the temperature exceeds 87 degrees. During the winter crested geckos will tolerate night drops into the 60s. Most breeder setups consist of rack systems. These rack systems enable the gecko breeders to keep temperatures perfect by using heat tape. Heat tape is connected to a reptile thermostat to enable proper temperature regulation. New baby geckos that just arrived should not be handled, but first allowed to settle in for three to four weeks to let them adjust to their new habitat and to make sure they are eating as they should. When you start handling your crestie, make handling sessions short, no more than five minutes at a time and than allow the gecko back into its habitat or crested terrarium. Baby cresties tend to be flighty and can be injured in the course of handling. For this reason, you should wait until they are at least 3 inches SVL before handling. Cresties are among the most handleable of all lizards. 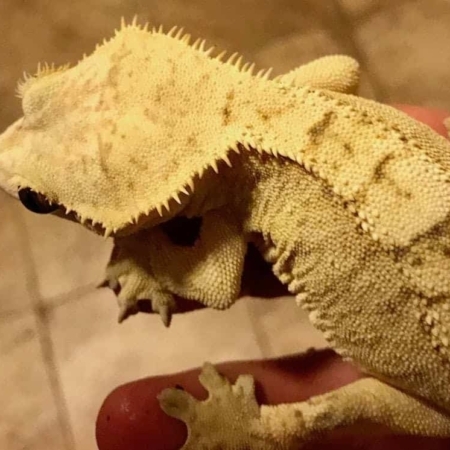 They tolerate moderate to heavy handling even when they are relatively young, however you should not handle geckos that are less than two weeks old, or geckos that have recently been purchased or moved. There is a recommended one to two week acclimation period for newly acquired geckos which allows them to settle in and get used to their new surroundings. Once they are settled in, you can introduce your gecko to handling a little at a time. Five minutes of handling per day for the first few weeks is sufficient to allow your gecko to become used to you and to become less jumpy. Once your new crestie is comfortable with you, you can begin to handle them more. We recommend no more than 20-30 minutes of handling per day so as not to stress out your new geckos. 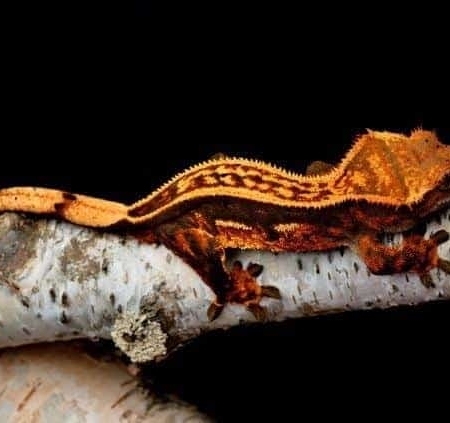 When your crestie is used to you, handling for longer periods will be easier and easier. If your new baby gecko is jumpy or flighty you can use what’s called the “hand walking” method. The way we do it, is to hold one hand out directly in front of the gecko and allow him to hop, walk, or jump to the next extended hand. Repeating this over and over, you place your free hand out in front again, and so on. Young or baby geckos and a newly acquired crested gecko sometimes need to be hand walked. Once several sessions have passed, you can expect them to calm down. Cresties seldom bite and when they do it is of little consequence. A quick nip and let go. 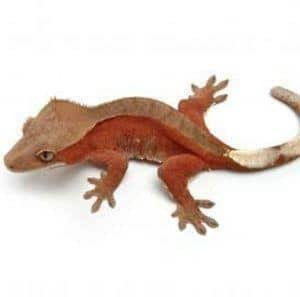 In nature, crested geckos will usually lose their tails and end up with a tiny pointed tail nub. It is completely natural and normal. “Taillessness” is a normal condition for adults crested geckos. In captivity, hobbyists like their crested geckos with tails, but this requires keeping animals individually and pampered to prevent tail loss. Crested geckos, also known as eyelash geckos, were thought to be extinct until 1994 when several relatively large, thriving populations were found on the islands of New Caledonia. As crested gecko breeders for over 10 years, and with a biologist on site, all of our crested geckos for sale come with our live arrival and full 7-day health guarantee and ship via FedEx overnight and arrive the morning after shipping in heated or cooled insulated containers. We offer baby crested geckos for sale, juvenile crested geckos, as well as young adult crested gecko for sale. 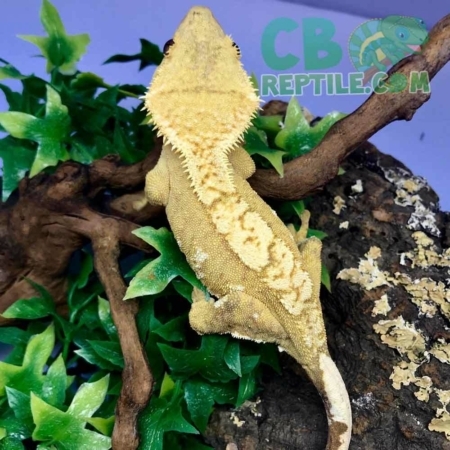 We are confident that choosing CBReptile.com as your go to crested gecko breeder, you are making the choice to get the highest quality baby crested gecko for sale anywhere.